Next weekend the most prestigious and professional Call of Duty players will share the stage at X Games with the biggest stars of the extreme sports world. 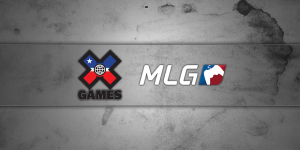 8 of the top MLG teams will attend an invite only tournament and battle it out for the X Games title. Here is a rundown of the 8 attending teams and their ambitions for the weekend ahead. The Curse Orange Team comes into X Games in Group B along with EnVyUS, FaZe Red, and Optic Gaming. Curse Orange and their performance in the MLG Online League has landed them their 7th place seed, edging out sB who took the lowest seed of the attending teams this weekend. Orange certainly shouldn’t be counted out though and remains a work in progress. The team formed as the combination of Curse Youth and two of the Xfinity players who performed well at the Call of Duty Championship World Finals only a couple of months ago. Their defeats at UGC came at the hands of the 3rd and 4th place finishers respectively and very much points to Curse being dealt a tough hand from a bracket point of view. There will be no rest bite this weekend though, with all of Group B being extremely formidable. Curse Orange can take solace in the fact that, at least from a recent event perspective, their group drawing looks the more favorable of the two. An upset certainly isn’t impossible. One of the best known franchises in Call of Duty, EnVyUS have a long and successful history that has spanned various iterations of the series. Their attendance at the X Games finds EnVyUS in great form, coming in on the back of consecutive 2nd place finishes. The thorn in their side has been Complexity, now EG, at the two events preceding X Games. EnVyUS will be looking to hold their nerve this weekend and maybe even go one further. Their group drawing is arguably the more favorable of the two, with their three opponents all failing to break the top 6 placements at UGC Niagara only a few weeks ago. This leaves EnVyUS as heavy favorites going into Group B and will look to reflect this by grabbing the top seed from their pool going into the knockout stages of the tournament. EnVyUS must start quickly, though, and were certainly guilty of a slow start at the Call of Duty Championships before finding their gear. With an extremely stacked bracket ahead, EnVyUS cannot afford any early slip up’s in their quest for another top 3 placement. After the most successful 12 months in Call of Duty history, the quartet of Karma, Teepee, Aches, and Crimsix departed the compLexity organization whose colors they’d represented for well over a year to join Evil Geniuses. Under EG, the World Champions will hope to write a new chapter in Call of Duty history, starting with X Games this weekend. As with every tournament in the last 8 months, this quartet come into the event as the team to beat and will be expected to both top their group and secure first place at the close of play. Their biggest rival in recent tournaments has been EnVyUS, a veteran team who will be hoping to go one further this time out. EG’s two previous tournament defeats came at the hands of Strictly Business and UNiTE, with the former hoping to force another upset this weekend with their new roster gathering momentum. All of these players have been SCUF users for many years and are continuing to use SCUF in 2014 under EG for X Games and beyond. One half of the FaZe pro gaming set up, FaZe Red have been drawn into Group B with Call of Duty dynasties, EnVyUS and Optic Gaming. So far JKap’s FaZe Red haven’t performed as well as the Black half of the FaZe set up, with FaZe Black leading Red in both the MLG Online League and outplacing their sister team at UGC Niagara. Despite settling for a 9th-12th placement only a couple of weekends, FaZe Red were only a whisker away from going considerably further in the tournament. Their Winner Bracket 2 match up against eventual runners up, EnVyUS, was a tight 3-2 match up. On another day it could have been FaZe Red who advanced to the latter stages and perhaps even took on Complexity in the Grand Final. This weekend offers FaZe Red a shot at revenge against EnVyUS, having been drawn together in Group B. EnVyUS and Optic Gaming will almost certainly come into the tournament as Group B favorites, with both teams having performed well online recently, as well turning in stellar performances at the latest events. FaZe Red certainly have the calibre to upset the favorites though and should not be written off in the group stages. Call of Duty’s celebrity foursome continue to mix it up with the best of the best in the eSports arena, improving significantly at the start of Ghosts after a string of slightly disappointing performances. After their third place finish at the Call of Duty Championships, Optic Gaming attained the services of veteran and proven winner, Proofy to complete their new roster. During their first outing Optic managed a respectable top 7th-8th finish at UGC Niagara, with the final blow coming against the dominant Complexity. With more time for their new line-up to gel, Niagara could prove a great platform for Optic to showcase their new team, especially with MLG Anaheim around the corner. Optic have also impressed online, currently taking up 2nd place in the second season of MLG’s online Pro League. In Group B, Optic will once again face off against their old time rivals, EnVyUS. Progression from the group will be tough, with the final placements being of significant importance during the Single Elimination phase of the tournament. The other half of Optic Gaming have had a successful start to life, taking 4th place at their first tournament outing. Optic Nation certainly has the pedigree of champions, boasting some of the most successful players of recent Call of Duty titles. X Games will be a true test of their talent, with an extremely tough group drawing awaiting them in the early stages. If Optic Nation manage to advance then their reward will be a slightly easier path to the Grand Final, avoiding current World Champions EG along the way. Optic Nation cannot afford to slip up in the early stages as they did at UGC Niagara only a couple of weeks ago and a good start will put them in good stead for a solid finish. Optic Nation certainly have the credentials necessary to establish themselves among the regular podium finishers in the North America scene and X Games very easily could provide the first trophy for their cabinet. After Strictly Business took home the US National Finals title, many Call of Duty fans dared to believe a new era of CoD was about to begin. Weeks later and Complexity put those beliefs to bed. Since then, sB are a completely different outfit. An unconventional mix of players combines youth with great experience. This formidable mix was emphasised during their first tournament appearance at UGC Niagara, with sB taking home 6th place after narrowly losing out to Optic Nation in bracket play. This weekend offers sB a rematch against Optic Nation. With EG looking set to take at least one of the top two places, Strictly Business will battle it out with Optic Nation and Team Kaliber for the other. A fiercely competitive group with a guaranteed unpredictable outcome. Like Optic Nation, following UGC Strictly Business have had more time to establish their line-up. X Games will be the perfect stage to see how far they have progressed in that time. Also like Optic Nation, sB have the benefit of avoiding the World Champions on the way to the Grand Final should they advance from the Group Stages. A runner up spot looks tantalizingly possible. Black Ops 2 saw Team Kaliber firmly establish themselves as a force to be reckoned with. Top 3 finishes became the norm. Team Kaliber had assumed the position of the best of the rest, constantly nipping at the heels of their established rivals, including the often invincible Complexity. Their transition into Ghosts has been less of a success, with a shock placement at the Call of Duty Championship World Finals being a bitter end to a memorable 12 months for the relatively new franchise. Kaliber shared an equal placement at UGC with Optic Gaming, finishing 7th-8th overall; a slight improvement on their unfortunate Championship outing but still not where the team will want to be. Like Optic Nation and Strictly Business, their group drawing could be considered bitter sweet. On the one hand, EG will be heavy favorites to advance from their group, leaving one slot available for the remaining three titans. On the other hand, if they do manage to place in the top two in their group, they will avoid EG en route to the final. Team Kaliber are certainly due a successful tournament and X Games is as big of a stage as any for them to reaffirm themselves among the North American elite.